The recent decision by Turkey's Constitutional Court to close the Democratic and Society Party (DTP), Turkey's primary Kurdish political party, will make the government's recent initiative to provide more rights and economic opportunities for the country's Kurdish minority all the more difficult. Not only this, but the decision will play directly into the hands of the terrorist Kurdish Worker's Party (PKK), which will, of course, use the Court's finding as evidence that the Turkish state has little interest in having Kurds represented in Turkey's parliament or dealing with them on an equal basis. The DTP had 21 seats in Turkey's parliament, and performed quite well in municipal elections held on March 29. While not representing all of Turkey's Kurds, there is little question that the party is a powerful force and could have been a hugely potential ally for the AKP-led government's effort to "open" Turkish society to greater Kurdish political participation and rights protections. The Court's decision was announced on Dec. 11, and effectively not only closed the DTP, but banned 37 of its members from participating in politics for five years. Most important of these 37 are parliamentatians Ahmet Turk, the party's leader, Aysel Tugluk, both largely considered moderates in their party. Interestingly, the Court's decision did not ban some DTP members who have adopted a harder line against the government's initiatives and have made less of an effort to make gestures toward peace and reconciliation. After the decision, the Court's head, Hasan Kiliç, said the DTP had become "a focal point of activities against the state's unity." As Amnesty International reports, Kiliç also said the DTP was at odds with the "independence of the state, its indivisible integrity within its territory and nation." The indictment that initiated the case against the DTP was filed in November 2007 by the same prosecutor who filed against the AKP the following March. Legal scholars have criticized the evidence presented in both indictments as shaky and not meeting international standards. Turkey's Law on Political Parties easily allows parties to be closed, and thus closures have become commonplace in Turkey's political terrain. However, since the adoption of Article 90 into the Turkish constitution in 2004, which stipulates that the European Convention on Human Rights and Fundamental Freedoms trumps national law, legal scholars like Ergun Ozbudun have insisted that the Consitutional Court must follow European standards despite the fact that it has yet to amend its Law on Political Parties. Amendment of this law has has long been requested by the European Union (EU) and human rights groups, and the AKP pledged to make the legislation a priority after its own near closure experience last year. Amending the Law on Political Parties is essential to Turkey meeting the Copenhagen political criteria for EU acccession. Recently, Ria Oomen-Ruijten, the EU parliament's rapporteur charged with reporting Turkey's progress toward accession, pointed to Turkey's failure to change its party law during a discussion about the DTP closure case. Thousands of angry demonstrators fought bloody street battles with the police and gendarmes. In Hakkari, Van and Diyarbakir Kurdish youths barricaded off whole districts and held prolonged skirmishes with the police. On Saturday 12 December businesses in all Kurdish cities remained closed in protest against the ban. For some time there has been talk of a Kurdish intifada. The PKK has meanwhile declared that with the constitutional court's decision, dialogue can definitively be said to have failed. The PKK prisoners said that state, media, military, police and judiciary had shown their racist, colonialist faces. The prisoners have announced a hunger strike and called on the population to show "resistance on the streets". With the attack on a military vehicle last week, for which the PKK claimed responsibility just a few hours before the constitutional court's judgement last Friday and in which seven soldiers were killed, the mood was already tense. These protests succeeded a an earlier round sparked by reports on the prison conditions of PKK leader Abdullah Ocalan. The earlier round led to a 23-year-old university student shot in the back by police. The PKK is already using the closure case to mobilize more street protests, and it is likely PKK attacks will escalate as the group reorganizes and finds its bearings post-DTP. Indeed, political analyst Mehmet Ali Birand wrote before the closure case that many in the PKK were desperately hoping that DTP would be shut down since "the PKK is fed up with difference in opinion within the DTP and is looking for a new party and members that will strictly obey." Pressed by Turkey's recent retrenchment with the Kurdish Regional Government (KRG) and fears that the government's Kurdish initiative might actually turn out to be successful, the PKK is now likely to experience an increase in new recruits, and perhaps, greater sympathy with Kurdish leaders in the KRG who have previously denounced PKK violence and sworn to crack down on the terrorist organization. The Closing of the Kurdish Opening? With increased hostilities and the likelihood of more PKK attacks akin to the PKK shooting of 7 Turkish soldiers in Tokat earlier this month, the AKP is likely to find the political atmosphere for reform more difficult. While the AKP has stated its opposition to the closure case, calling it a regrettable development and having Interior Minister Besir Atalay meet with Turk, it has not taken a strong line nor does it plan to push for political parties reform any time in the near future -- both gestures that would strengthen its legitimacy with Kurds. Prime Minister Erdogan has been particularly critical of the DTP since he announced his initiative in July. Erdogan's announcement followed Ocalan's declaration that he was drawing up a roadmap for peace to be released Aug. 15. Erdogan beat Ocalan to the process, and Ocalan's roadmap ended up not being released, falling instead into the hands of an Istanbul prosecutor. Erdogan's criticism of DTP was particularly virulent following DTP-planned celebrations surrounding the rather bizarrely planned surrender of 26 fighters entering Turkey from Northern Iraq as "peace messengers." The prime minister will no doubt find more difficulties following the removal of moderate figures like Turk. In June, speaking ahead of the announced initiative, Minister of Culture and Tourism Ertugrul Gunay declared Turk to be the most important person for peace in Turkey. As to the future of DTP, after announcing that the 19 remaining MPs would resign from parliament, the party has reversed its decision and plans to join the Peace and Democracy Party (BDP), established shortly after the closure case was opened in November 2007. In order to form a parliamentary group, independent MP Ufak Uras will likely join the party to meet the threshold of 20 MPs required to do so. Ironically, more hardline Selahattin Demirtas and Emine Ayna are now among the contending figures to be elected as chairs of the new party. DTP is the fourth Kurdish party to be closed in Turkey. For a basic accounting, see Ayse Karabat's reporting on party reorganization efforts after the March elections. For more understanding of developments and rivalries within the party, see past posts, especially Aug. 12, 2008 and July 22, 2008, as well as Ayse Karabat's reporting on an open conference DTP held this past July when both the government and Ocalan were talking about reforms, the peace process, and potential amnesty for PKK fighters. After it became clear that the AKP would not push amnesty for PKK fighters as part of the peace process, the DTP became particularly insistent on the point, as well as on Ocalan's release, and moderate voices in the party were drowned out. In the past, figures like Turk had treaded a middle line, frequently denouncing violence as a legitimate strategy (as he did this past May following a mine blast that killed 6 Turkish soldiers) and praising government intiatives like the Ergenekon investigation and limited cultural rights reforms. In recent months, though, even Turk has become harder line. At Newroz festivities in March, he compared Ocalan to Nelson Mandela and stood by as more militant Leyla Zana -- who is not a member of DTP, but was among the 37 politicians banned by the court (she is actually serving a prison sentence at the moment) -- insisted disarmament be a final step in the peace process, some might argue thus tacitly legitimizing violence. He has also recently insisted that the Kurdish problem will not be solved until Ocalan is released. However, Turk's constituency must also be kept in mind, and him urging for Ocalan's release and saying it is necessary for peace in no way means he supports PKK violence. Many politicians and intellectuals in Turkey have long argued that Turkey's peace process is contingent on negotiating with the PKK, following examples of negotiations with the Provisional Irish Republican Army (PIRA) in Northern Ireland and, recently, the Spanish government's negotiations with ETA after the group declared a permanent ceasefire in 2006 (though ETA's ceasefire was broken nine months later and negotiations ended). FYI -- For a nice briefing and short analysis of the AKP's recent initiative, see former U.S. Ambassador to Turkey Mort Abramowitz and Kurdish expert Henri Barkey's recent article, "Turkey's Transformers," in the November/December issue of Foreign Affairs. Will the Chinese Fund Ilisu? PHOTOS of Hasankeyf, which the dam would destroy, from the Atlantic. Turkey is so indebted it cannot finance the dam from its own resources. Reliable sources have told us that the Turkish government is currently discussing support for the Ilisu Dam with China. For years, the Turkish and Chinese governments have strongly disagreed over the treatment of the Uighur population, which is ethnically Turkic, in China’s Xinjiang Province. Yet in June 2009, Turkey’s President visited China and signed several cooperation agreements, including in the energy sector. Under a plan which is currently being discussed, Andritz Hydro, the main contractor for the Ilisu hydropower project, would manufacture the turbines for the project in China rather than in Austria. Sinosure, an insurance company set up and owned by the Chinese government, would insure the bank loans for the contract. In a new twist in its emerging role, China would thus not enable its own dam builders to go abroad, but would underwrite the exports of Western dam builders which have shifted part of their manufacturing base to China. For Bosshard's full report, click here. The intersection of politics and the judiciary is difficult for many countries, but has been partiuclarly problematic for Turkey. Among one of the many thorny issues pertaining to Turkey's judicial system is its appointment of judges and prosecutors through the High Council of Prosecutors and Judges (HSYK). The HSYK appoints all judges and prosecutors, and usually a list of appointments is announced each June. However, the ongoing Ergenekon investigation, as well as investigations into war crimes committed by the Turkish gendarmerie (the military police force) have brought increased importance to the appointment process. Last week, HSYK member Ali Suat Ertosun sparked a firestorm of controversy when he indicated that prosecutors involved in the Ergenekon investigation of crimes committed by individuals alleged to be members of Turkey's "deep state" might not be re-nominated. Though there have been justified concerns about the politicization of the investigations, Turkish government officials and civil society groups strongly protested Ertosun's declaration. Concerns remain about the impartiality of the judiciary. On some occasions senior members of the judiciary made public political comments which may compromise their impartiality in future cases. As regards independence, there has been no progress on the composition of the High Council of Judges and Prosecutors or on the reporting lines of judicial inspectors. The selection criteria of judges and prosecutors was amended in December 2007, though complaints persist that the criteria are open to subjective interpretation. Institutional conflict within the Turkish state is often summarized as occuring between the elected executive/legislative branches of the government and the judiciary. The judiciary has long been home to pro-status quo politicians often seen as representative of the Kemalist old guard, and to some extent, the political and legal legacies that came into effect after the 1980 coup. This understanding of institutional conflict was manifested in the AKP closure case of last year when the Chief Prosecutor of the Supreme Court of Appeals filed a case to close AKP for violating the constitution and the Law on Political Parties. The power of the judiciary was also on display in April 2007 when the Constitutional Court invalidated the election of President Gül, claiming a two-thirds quorum of 376 PM's was needed to elect the president. The Constitutional Court also has the authority to veto legislation, including the headscarf amendments of last year and law creating an office of ombudsman. The ideological orientation of the judiciary is also evinced by the composition of the Judges and Prosecutors Association (YARSAV). A Turkish daily released the names of judges and prosecutors Ertosun wished to replace on Monday. According to the Bugün daily, Ertosun demanded the replacement of Ergenekon prosecutors Zekeriya Öz, Mehmet Ali Pekgüzel and Fikret Seçen. İstanbul Chief Public Prosecutor Aykut Cengiz Engin and Deputy Chief Prosecutor Turan Çolakkadı are also on the HSYK member's list. Bugün also wrote that Ertosun is not pleased with the head of the Diyarbakır High Criminal Court, Dündar Örsdemir. 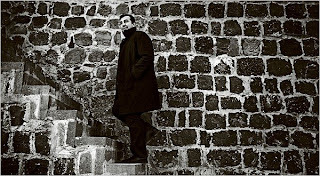 Örsdemir is well known for his investigations into unsolved murders in the Southeast. The HSYK member also demanded that Murat Gök, a prosecutor who conducted various probes into criminal organizations in the Aegean city of İzmir, be removed from his position. Rüstem Eryılmaz and Resul Çakır, the judges who ordered the arrest of Col. Dursun Çiçek -- whose signature was found on a highly disputed action plan against the Justice and Development Party (AK Party) and the Gülen movement, are also on Ertosun's list. Though Çiçek was arrested on suspicion of links to the plot, he was soon released after an appeal by his lawyer. Ertosun also demanded the replacement of İdris Asan, a judge at the İstanbul 9th High Criminal Court. Asan has ordered the arrests of several Ergenekon suspects. Alleged HSYK interference in the Ergenekon case was also on display this January when HSYK announced that it would be appointing more prosectors to İstanbul in an effort allegedly designed to stifle the investigation. In contrast, public opinion leaders on the other side of the political equation have criticized the institutional structure of the HSYK as allowing for too much executive involvement. CHP deputy chair Onur Öymen has said it is impossible for the HSYK to act independently when the Justice Ministry is not only on the council, but chairs it. Many taking this side of the issue have argued for the removal of executive influence over the HSYK, and subject to particular scorn is the rule that the HSYK cannot meet without being called by the justice minister. Criticism of the HSYK's institutional arrangement also includes its lack of an independent secretariat and dependence on the Justice Ministry for its budget. The release of the list by the HSYK will continue to be delayed until some sort of consensus is reached between Ergin and Ertosun. For newspaper coverage of the deadlock, see these articles from Hürriyet and Today's Zaman, the latter of which levelled insinuations that Ertosun and YARSAV head Ömer Faruk Eminağaoğlu are affiliated with Ergenekon. Debating larger institutional arguments are two op/ed's recently published in Hürriyet. The first is authored by Rıza Türmen, columnist for Milliyet and former ECHR judge, and the second by Özlem Türköne, an AKP MP and memberof the Turkish delegation to the Parliamentary Assembly of the Council of Europe (PACE). 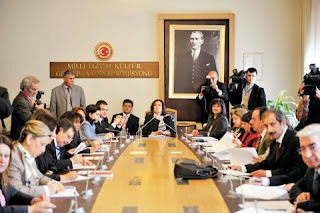 While Türmen argues the HSYK should function more independently of the judiciary, Türköne assesses the politicization and establishment bias of the HSYK and the judiciary. The two columnists talk past each other, though both bringing up valid points and arguments for meaningful reform. Worth looking to is TESEV's 2007 report on the independence of the judiciary. TESEV also recently released a book on people's perceptions of the judiciary (see report in Turkish). In March 2007 the German, Swiss and Austrian governments agreed to support companies from those countries to supply equipment and engineering services for the construction of the Ilısudam. This support was provided through ECAs [export-credit agencies], which arepublic or semi-public institutions thatgrant government-backed loans, guarantees and insurance to domestic companies that seek to do business overseas. Germany's Euler Hermes Kreditversicherungs-AG, Austria's Oesterreichische Kontrollbank Aktiengesellschaft(OEKB) and Switzerland's Swiss Export Risk Insurance(SERV) agreed to disburse a total of 450 million Euros in export risk guarantees. When the three ECAs granted their support, a committee of independent experts was set up to evaluate and monitor the implementation of an agreement between the governments of Switzerland, Germany and Austria and the Turkish government on the impacts of the dam, including the social and environmental impacts. The agreement required the Turkish government to put in place mitigating measures, adequate compensation and a comprehensive scheme for the resettlement of affected communities. Following repeated breaches of this agreement, the governments of Germany, Switzerland and Austria put the contracts of national companies on hold for 180 days at the end of 2008. On 7 July 2009, when the Turkish government had not met the agreed standards, they decided to withdraw their support to companies involved in the project. Had the ECA support not been withdrawn,Germany, Austria and Switzerland, as well as the companies receiving export credit guarantees, would be at risk of complicity in human rights violations and/or profiting from a project involving serious human rights violations. The holds were ordered on Jan. 6 and the social and evironmental impacts referred to involved the expropriation of land from villagers who live on the proposed site and the failure of the Turkish government to conduct environmental impact assessments adequate to the demands of the ECAs. Since the Turkish government did not meet the 153 funding criteria placed on the project by the German government, Germany suspended funds and Switzerland and Austria followed suit. The German share of the project was €450 million. The funding criteria reflected World Bank environmental and heritage standards. 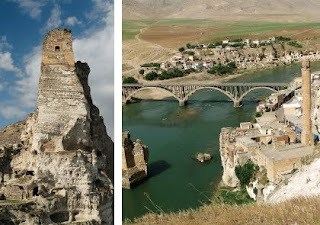 Ilısu would have been constructed on 300 square kilometers of expropriated land, involved the displacement of some 80 villages (mostly Kurdish) and 55,000 people (though Hürriyet reports it would have displaced 65,00 people), and flooded heritage sites, in particular the village of Hasankeyf, a city dating to Roman times and said to be home of over 20 cultures. The town was destroyed by the Mongols, but rebuilt by Selcuk Turks in the eleventh century. I posted on Hasankeyf in December. "We have successfully carried out some important work in order to realize the project in accordance with international standards . . . The criticism is untrue. This is the work of foreign powers that do not want Turkey to become a regional power," he added. An article in TDZ made no reference to Eroğlu's combative remarks, but did note the minister's insistence to carry on with the project for the economic good of the country's east and southeastern regions. This claim is up to debate and figures into what has long been a debate about both the Ilısu project and Southeast Anatolia Project (GAP)as a whole. As Gareth Jenkins pointed out in an article last year, GAP is a long-standing project that has heightened tensions in the region for over thirty years. Though AKP has been quick to tout the project as benefitting the southeast, this is a dubitable claim. Additionally, it is largely seen by many Kurds and observers of Turkish politics as part of what Ece Temelkuran has termed Turkey's "Islamist banana" poltiics. (For Jenkins and "banana politics," see my post from last March. So far, Turkey has invested an estimated total of $20 billion in GAP, and though GAP's irrigation projects have increased yields two to three times, it is reported to have left many of those whose lands were expropriated in an even greater state of poverty. Yigal Schleifer, in an article for Eurasianet last June notes a recent study by the Turkish Confederation of Young Businessmen (TÜGIK). According to TÜGIK, despite the investment in GAP, "the region’s share in the national income is lower today than it was 40 years ago. While the 2007 per capita income in the region around Istanbul was $14,500, in Turkey’s southeast it was only $5,200." The Ilısu dam project made up a significant sum of the $12 billion Prime Minister Erdoğan promised on May 27, 2008, and which he spoke of on his visit to Diyarbakır last summer. As for Ilısu, Schleifer points out little attention was paid to building local manufacturing jobs or to food processing facilities, industries that would have seen a real benefit for economic development in the largely Kurdish southeast. In the same piece, Schleifer writes that not all of those forcibly removed in previous phases of GAP received compensation and interviewed some of the displaced who were now working as loaborers on the farm lands they had once inhabited on the fertile Harran plains. The Ilısu project was slated to be completed in 2013, but the ECA withdrawals -- despite the claims of Minister Eroğlu -- leave its completion up in the air. It is not at all clear, especially amidst the havoc of the financial crisis, that Turkey has the funds it needs to complete the project. However, as the Guardian reports, the dam, first planned in the 1980s, "has a history of troubles." The British construction company Balfour Beatty scrapped plans for a £200m investment in 2001 under pressure from environmentalists and human rights groups." Will the Turkish government complete the project, or will it look for funding elsewhere? The Council of the Socialist International … condemns in the strongest terms the coup d'état against the government of President José Manuel Zelaya Rosales in Honduras,” inspiring people on the streets in Turkey to carry banners with the message “The CHP can now join the government in Honduras,” accusing the party of aligning itself with coup supporters. The SI defines itself as an “association of political parties and organizations which seek to establish democratic socialism.” Therefore, political parties affiliated with the SI should by definition be social democrats and should never inspire this kind of public criticism. This criticism from TDZ is not new, and is echoed not only by TDZ, but by leftist Turkish intellectuals and critics who actually have a stake in the SI and have long criticized CHP's inconsistent policy positions alongside its SI membership. (See, for just one example, Baskın Oran's call in 2008 that the CHP be expelled from the SI.) The SI, for its part, has also long been critical of the CHP. This July, CHP leader Deniz Baykal did not go to the SI's summit in Greece. Former vice-chairman of SI, Baykal lost his seat to Iraq's Jalal Talabani. The SI, unlike some conservative entities in Europe, has long been supportive of Turkey's accession to the European Union. However, in a rather bizarre twist for outsiders of Turkish politics, the CHP has often opposed efforts to pass important political reforms required for Turkey to come into harmony with the EU's Copenhagen criteria for membership. The CHP opposed cosmetic reforms to Article 301, amendments to Turkey's law on foundations, and reforms pertaining to expanding the cultural rights of Turkey's Kurdish minority. It might be said that the CHP would be more supportive of these reforms if they were not the party in opposition, but the CHP's political positions and nationalist rhetoric is all that most people hear. The generation of this opposition rhetoric seems to be more the priority of Baykal's CHP than any effort to work with the AKP on developing substantive policy to move Turkey all the closer to satisfying the EU's political criteria for membership. For another socialist European leader's take on the CHP, German Foreign Minister Frank Walter-Steinmeier's recent comments. TDZ columnists Klaus Jurgens and Orhan Kemal Cengiz, neither leftists, echo familiar criticisms of the CHP regarding the inconsistensy of its policy positions with the SI platform. I have posted rather frequently on the state of the Turkish left on this blog, and would refer to my previous posts for more information on the political context in which CHP's conservative political positions are taken. Not since Bülent Ecevit's DSP has there been a powerful Turkish party on the left that has addressed traditional social democratic concerns like the expansion of neoliberalism rather than focus on the preservation of Turkey's traditional nationalist/laicist regime. See also Ron Marguille's article from 2007 on the state of Turkish socialism in response to the AKP's neoliberal moderate Islamism. Graduates of theological high schools and other vocational schools will now be able to enter college on the same basis as graduates of academic high schools. On Tuesday, the Higher Education Board’s (YÖK) General Council abolished the system of using a lower coefficient to calculate the university admission examination (Student Selection Examination [ÖSS]) scores of graduates of vocational high schools. Entrance to a college and field of study is decided exclusively by the student’s score in a single nation-wide exam, leading to an entire separate industry of private cram schools that remains unaffected by this ruling. In the old YÖK system, graduates of vocational high schools had points deducted from their admission scores when they applied to a university department unrelated to their curriculum. This system made it more difficult, for instance, for an imam-hatip high school graduate to gain entrance to medical school than a student from a normal high school with the same ÖSS score. Professor White goes on to explain the formation of imam-hatip schools and the lower co-efficients, as well as to note that the reform will have little impact on türban-wearing women whom are restricted from entering public universities. For coverage from Today's Zaman, which has a pro-headscarf perspective, click here. What is indeed the intention of the government of Sultan Recep the First? Is it....aimed at confining Turks to their homes? Are we leaving through a process of advancing red zones in the cities? Or, is it as Le Monde or some other Western media outlets implied in their reports, an effort by the neo-sultan in the footprints of Murat the Fourth aimed at avoiding Turks coming together and criticizing his all benevolent and all capable government? According to Bianet, the Ministry of Health has set up a hotline by which citizens can report on smokers who violate the law. The law also includes a mesaure that allows police to assess a 25YTL fine on smokers who throw cigarette butts on the ground, as well as provisions to fine businesses who are found to be in violation and restrictions on advertising. UPDATE 8/1 -- A university professor recently completed a study on smoking in Turkish coffeehouses. Among the findings, while only 30 percent of Turks smoke, 70 percent of coffeehouse goers smoke (and a lot). The study also notes that coffeehouses are important places for men and women to gather to talk. This findings gives reason to wonder if the smoking ban will have on Turkey's public sphere. Coffeehouse cultures have long been appreciated as important spaces for political discourse. Will the smoking ban end up squeezing valuable public space in Turkey? The European Union's new visa regime, which will allow visa-free travel for citizens of Macedonia, Montenegro and Serbia within the EU while excluding Muslim Bosnians and Kosovars, as well as citizens of predominantly Muslim-populated Albania, has had repercussions in EU candidate Turkey as well, where a skeptical public now tends even more to think that the EU is a "Christian club." The EU announced the new proposal -- which will allow the citizens of Macedonia, Montenegro and Serbia to travel to EU countries without needing a visa starting from Jan. 1, 2010, if all 27 member states give their approval -- on Wednesday. The European Commission's proposal excluded three other Balkan countries which have Muslim-majority populations, Bosnia and Herzegovina, Albania and newly independent Kosovo. Randomly surveyed by Today's Zaman, residents in the capital of Ankara said the move was not surprising because the EU is a Christian club and favors Christians over others. Galip Bayar, 70, a bookstore owner, said the EU's latest move is indubitably religious discrimination. “It is obvious that there is an anti-Muslim sentiment within the EU, both at the societal and the political level. This directly translates into discrimination against Muslims in terms of policies as well as social practices. This situation should be known by all. We are respectful of their beliefs and never argue about these beliefs with them. We simply accept them as they are, but what we receive in return is really not an equal level of tolerance,” he said with frustration. Nafiye Erten, 55, a housewife, said she completely agreed with Bayar and added that there are very few reasons to believe that the EU is neutral to the adherents of all religions. Click here for full article. For a particularly scathing commentary on the visa regime decision, see Milliyet columnist Emre Kızılkaya's response. Many opinion leaders have expressed particular anger at the admission of Serbia, a country with a strong sense of ethnic-based, and to some degree Christian, nationalism. As Hajrudin Somun, former ambassador of Bosnia and Herzegovina to Turkey points out, the EU's decision regarding Serbian visas will allow Bosnian Serbs to travel through Europe freely. Bosnian Croats (Christians) are already able to travel freely, meaning that Bosniak Muslims will be the only citizens of Bosnia-Herzegovina not allowed this privilege. While some politicians' view that Serbia must be allayed to keep it from gravitating toward Russia no doubt had an impact on the EU's decision, it does mean that some Serb genocidaires will be able to enter Europe without delay, a freedom not yet enjoyed by their Bosniak Muslim victims. Turkey has enjoyed a Customs Union with the European Union since 1995 (though still refusing to open its ports to Cyprus) and is now the only country with an accession partnership whose citizens are not allowed to travel freely in Europe. Croatia already enjoyed this status, and Macedonia's inclusion in the visa-free zone, despite European concerns about corruption and organized crime in the country, now leaves many Turks feeling like they are out in the cold. Abdullah Demirtaş, mayor of the Sur municipality in the southeastern city of Diyarbakır, has collaborated with Vezir Perişan, president of the Diyarbakır branch of the trade union for municipal workers (Belediye-İş) in order to implement a collective labour agreement that includes sanctions against domestic violence. According to this new labour agreement, which was amended on 1 July, municipal staff who treat their spouses or children violently will have half of their wages deducted, and it will be paid to the spouses. In addition, any payments due to an employee on resignation will also be paid to the spouse. Should a person have contracted more than one marriage (i.e. one official and other religious marriages), the payments will be made to the officially married spouse. Demirtaş' labor plan also encourages municipal employees to learn other languages, including English, Armenian, and Kurdish (both Kurmanci and Zaza). Kurdish-speaking women have long been disadvantaged since several speak little to no Turkish and have difficulty attaining municipal services. Inability to speak Kurdish exacerbates problems of domestic violence. The New York Times Magazine ran a profile of the mayor in February 2008. ’Almanac Turkey 2006-2008: Security Sector and Democratic Oversight’ focuses on information about the security sector as a whole in Turkey and aims to accumulate information for civilian surveillance of the sector. Funded partially by the European Commission, the almanac includes an extensive scan of documents and legislation. Tension is racking the heated political agenda in light of debates over curbing the influence of the military in politics. In a recent study the Turkish Economic and Social Studies Foundation, or TESEV, concluded that there is no improvement but a regression on the civilian control of the security sector since 2005. Released in a panel Wednesday at Conrad Hotel, "Almanac Turkey 2006-2008: Security Sector and Democratic Oversight," aims to provide information about the security sector in Turkey for strengthening civil supervision over the sector. The almanac’s articles examine the relations between civilian and security institutions, as well as the security perception of civilian institutions. It also includes widespread scanning of security documents, laws, media stories and analysis. For the complete TESEV report, click here. There is an introduction in English. In the Eurasia Daily Monitor, Lale Sarııbrahımoğlu offers further analysis of the report. The International Federation of Chemical, Energy, Mine and General Workers' Unions (ICEM) lodged strong protest early this week demanding Turkey President Abdullah Gül veto a bill giving "Private Labour Offices" broad rights to place temporary workers in enterprises. On 9 July, President Gül did veto the bill, and now the ICEM demands the Turkish Parliament not bring it back. 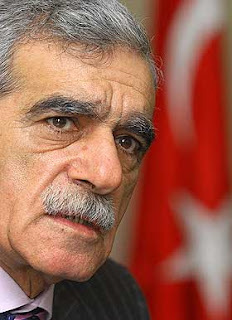 Mustafa Kumlu, President of the Confederation of Turkish Trade Unions (Türk-İş), said accurately it would render existing mechanisms between unions and government useless. Kumlu, an ICEM Executive Committee member, said "social rights, social security, and other benefits" would disappear under this legislation. For full article, click here. For coverage of ICEM's meeting in TDZ, click here. The Ankara lawyer in trouble for hanging a photo of his father, which police believed was a photo of the outlawed Kurdistan Workers’ Party, or PKK, leader, has instead been charged for possessing a photo of his sister at a rally. The police investigation in the Gölbaşı region of Ankara started with a tip that said the lawyer had hung Abdullah Öcalan’s photo in his office right next to a photo of Turkey’s founder Mustafa Kemal Atatürk. Police officers raided the lawyer’s office March 26. 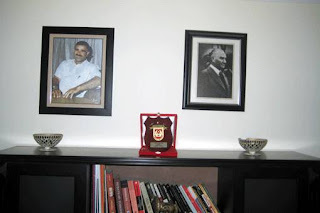 Ignoring the lawyer’s explanation that the photo was of his father, who had died in 1993, officers noted in their report that Öcalan’s photo could be seen right next to Atatürk’s on the office wall. The police report was submitted to the local prosecutor, who filed a charge that the lawyer was guilty of “possessing terrorist propaganda.” The local prosecutor initiated an inquiry, ordering a search of the office April 7. The same day, the lawyer was detained by police in court while he was awaiting trial. On the evening of July 11, the world-renowned classical pianist Idil Biret and the Whitehall Orchestra performed at the Topkapi Palace, one of the early palaces of the Ottoman Empire, now a museum that contains the artifacts of empire — among them the Ottoman crown jewels and important Islamic relics. For decades parts of the palace, especially the vast courtyards, have been the site of world-class music concerts. The day before, a far-right Islamist newspaper Vakit had fomented against the fact that alcohol was to be served at this concert in the hallowed halls of an Ottoman palace in proximity to the relics and at a time of concern for outrages against the (Muslim) Turkic Uighurs in China. A group of fifty to a hundred protestors led by an ultranationalist group called the Alperenler Hearth rampaged in front of the concert doors, calling out Allahu Akbar and tearing down and burning the concert posters. They knelt on a Turkish flag (the Vakit account states they knelt on an Alperen flag) to pray. The show went on as planned, but the performers had to escape out the back door. The Alperenler crowd, held in check by the police, then made its way through local neighborhoods shouting Allahu Akbar. For full post with analysis, click here. An Imam, a Priest, a Rabbi, and a Buddhist Monk . . . It sounds like the beginning of a joke: what do you get when you put a Muslim imam, a Greek Orthodox priest, a rabbi, a Buddhist monk and 10 atheists in the same room? Viewers of Turkish television will soon get the punchline when a new gameshow begins that offers a prize arguably greater than that offered by Who Wants to be a Millionaire? Contestants will ponder whether to believe or not to believe when they pit their godless convictions against the possibilities of a new relationship with the almighty on Penitents Compete (Tovbekarlar Yarisiyor in Turkish), to be broadcast by the Kanal T station. Four spiritual guides from the different religions will seek to convert at least one of the 10 atheists in each programme to their faith. Those persuaded will be rewarded with a pilgrimage to the spiritual home of their newly chosen creed – Mecca for Muslims, Jerusalem for Christians and Jews, and Tibet for Buddhists. The programme's makers say they want to promote religious belief while educating Turkey's overwhelmingly Muslim population about other faiths. "The project aims to turn disbelievers on to God," the station's deputy director, Ahmet Ozdemir, told the Hürriyet Daily News and Economic Review. For full article, click here. Tait has an audio commentary available here. A dispute over the land rights of a Syriac Christian monastery, Mor Gabriel, has spurned a series of controversial law suits, yielding differing rulings over the monastery's rights to the land surrounding it. The case of Mor Gabriel's land rights is not simple, and involves a redrawing of the monastery's boundaries as part of a larger 2008 effort to update the national land registry --- part of a cadastre modernization project in compliance with EU instructions. The monastery is located in the Midyat district of Mardin province, a heavily Kurdish area that was once home to a diverse population of Kurds, Syriacs, Armenians, and Turks. Turkish authorities and the three villages in opposition to Mor Gabriel's redrawing -- Çandarli, Yayvantepe and Eglence -- claim that the new boundaries correctly adjust lands that were wrongly apportioned to Mor Gabriel 15 years ago. The case is significant in that it highlights tensions between Syriacs, their largely Kurdish neighbors, and the Turkish state. Syriac Christians have long been disciminated against by the Turkish state. Not recognized as a minority under the Treaty of Lausanne, which granted minority rights to Greek and Armenian Christians, the Syriacs are afforded little protection as a group. Largely as a function of the dispute, villagers surrounding Mor Gabriel have complained that the monks are proselytizing to their children, referring to them as "missionaries" and stirring up a good bit of bad feeling. Though members of the Kurdish DTP have tried to reach out to the Syriac community in recent years, the Mor Gabriel case reflects extant tensions between the two groups -- the Kurds having their own disputes with the state. The most recent ruling came from a Midyat court on May 22 and found in favor of the villagers. The monastery won its challenge to the redrawing in January, and plans to appeal the most recent ruling to the Supreme Court of Appeals. If the Supreme Court of Appeals rules affirms the Midyat court's decision, the monastery has said it will take its case to the European Court of Human Rights. In the name of Turkey’s strict secular laws, authorities have over decades expropriated millions of dollars worth of property belonging to Christians. Syriacs, Armenians and Greek Orthodox Christians -- remnants of the Muslim-led but multi-faith Ottoman Empire -- are viewed by many as foreigners. 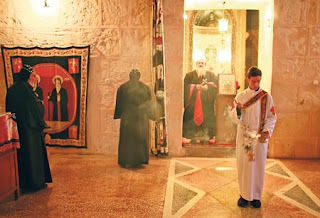 Syriacs are one of Turkey’s oldest communities, descendants of a branch of Middle Eastern Christianity. These Christians, united by a language derived from Aramaic, are split into several Orthodox and Catholic denominations. There were 250,000 Syriacs when Mustafa Kemal Atatürk founded Turkey after World War I from the ashes of the Ottoman Empire. Today they number 20,000. Syriacs migrated throughout the 20th century to Europe, fleeing first persecution by the new secular republic and later to escape violence between Kurdish separatist terrorists and the Turkish military in the Southeast. Many churches and monasteries in southeast Turkey -- known to Syriac Christians as Turabdin or “the mountain of worshippers” -- are now abandoned and in ruins. “You need people to have a church. Without the community, the church is only a building,” said Saliba Özmen, the metropolitan, or bishop, of the nearby city of Mardin. The Conference of European Churches, a fellowship of 126 Orthodox, Protestant, Anglican and Old Catholic churches from European countries, has said it is “deeply concerned about the threat to the survival of the monastery.” The group has raised the issue with the EU and Turkish officials. Considered the “second Jerusalem” by Syriacs, Mor Gabriel was built in A.D. 397 near the border of today’s Syria and Iraq. The ocher-colored limestone building has seen invasions by Romans, Byzantines, Crusaders and Muslim armies and the monastery was once raided by the Mongol leader Tamerlane. After falling into disuse, Mor Gabriel was revived in the 1920s and today teaches the Syriac faith and Aramaic language to a group of 35 boys, who live and study at the monastery. By law, Syriacs must attend state schools where teaching is in Turkish, but they can be taught about their own language and religion outside school hours. The land rights case made its way into the U.S. Commission on International Religious Freedom's annual report on Turkey, and could well make its way into the EU progress report. As some Syriacs have returned to their lands following the bloody war between the Turkish military and PKK insurgents in the 1990s, such disputes have become fairly commonplace. Being a monastery, however, the Mor Gabriel case raises specific questions about religious minorities in Turkey. The monastery has paid taxes to the Turkish state since 1938. According to the report, Turkey is the third among the sixteen countries studied in terms of the hours that child labourers work. Only following Mali and Senegal, girls in Turkey aged 5-14 work around 30 hours a week, while boys work over 25 hours. The average for the sixteen countries is 20.2 hours for girls and 19.2 hours for boys. According to 2006 data published by Bianet, around one million children in Turkey are working. Child labor in Turkey has long been considered a problem (click here for an article from Today's Zaman), and the report is significant in drawing specific attention to the gender divide in childhood education. While Turkey is a member of the Organization for Economic Cooperative Development (OECD), the eastern regions of the country lag far behind the much more developed west. While attempts have been made in recent years to address persistent poverty in Turkey's eastern regions, especially the Kurdish southeast, more could be done from a human rights angle in terms of ensuring that children be sent to school, especially young girls. Conditional cash transfers have proved moderately effective in addressing social problems associated systemic poverty, and hopefully the policy suggestions of the ILO will lend policymakers additional guidance. A report published in Turkey on 11 June, produced by the Educatino Reform Initiative (ERG), there are 220,000 children aged 6 to 13 who are not registered for education in Turkey. Of these, 130,000 are girls, and 90,000 boys. Around 100,000 of the children not being educated are from central Anatolia and the southeast of the country. In addition, there are children who are not even registered as born, and have thus not been counted. If a household is attached to a social security institution through work, this increases the probability of a child attending middle school (years 6-8) by 15 percent. However, around 54 percent of urban families have no steady income. This rate is at 84 percent in Gaziantep and 91 percent in Diyarbakır, in the southeast of the country. At higher levels of schooling, the number of girls drop. While there are 96 girls to every 100 boys in primary 1, there are only 91 girls in 8th grade. According to the child labour report of the Turkey Statistical Institute (TÜİK), six percent of Turkey's 6-17-year-old population is working. 66 percent of these are boys, and 34 percent girls. 41 percent work in agriculture, 28 in industyr, 23 in trade and 9 percent in the service industry. As long as children are pushed out of education, child labour will continue. Because there are no up-to-date data showing that child labour in Turkey is decreasing, there is no wide-ranging data on child labour. There need to be policies and programmes created to solve the problem, and there needs to be research to obtain indepth information. Child labour needs to be treated as a social problem, and mechanisms to collect data and monitor child labour need to be created urgently. The worst kinds of child labour need to be abolished, and an investigative committee needs to be formed in order to solve the problems of children working under the worst conditions in industry and agriculture. Rural-urban migration, related adaptation problems and the industrialisation of agriculture have all put child labour onto the agenda. Families let their children work in the streets in order to raise their income. The underlying reasons for child labour are poverty, migration, traditional family structures, lack of education, unemployment, demand for cheap labour, insufficient work regulations and lack of implementation of existing regulations. The ILO report can be downloaded here. The Halki seminary on the island of Heybeliada is to be reopened, Culture Minister Ertuğrul Günay said, adding that they are searching for a formula to integrate the Orthodox theological school into Turkey’s university system. "Although we have not finalized a decision in the Cabinet, my personal impression is that we are going to open the seminary," said Günay, speaking on Kanal 24 television over the weekend. Recalling that the functioning of the Halki seminary is not compatible with the Turkish university system, Günay maintained that work is underway to find a formula for its status. He explained that the question is whether the seminary would function like a university, which then has to be integrated into the Turkish university system, or if it would function like an autonomous private high school. One of the latest proposals was for the seminary to become a private university under the auspices of a foundation, such as how Koç University was established under the auspices of the Vehbi Koç Foundation. The Heybeliada University would be set up under the Ayatriada Foundation with the patriarch chairing the latter and people with Turkish citizenship making up the rest of the board. However, the patriarch has rejected the idea. The expectation of the reopening of Halki Seminary, which has been closed since 1971, has been long spelt out by the European Union in the course of entry talks and was lately expressed by U.S. President Barack Obama during his visit to Turkey in April. State Minister and Chief Negotiator Egemen Bağış said that reopening Halki Seminary was a domestic issue for Turkey, in an interview with the Greek daily Kathimerini, reported the Anatolia News Agency on Sunday. "Turkey needs to address the religious needs of the Orthodox community as well as Greece needs to address the needs of the Turkish community in Western Thrace. These are domestic matters for both countries," said Bağış. Although the reciprocity principle is not a must, both countries must tackle the problems simultaneously Bağış underlined. Reciprocity on minority rights issues in relation to the Greek community has long been seen as an international issue dependent on Greece lessening restrictions it imposes on Turkish minorities. CHP and MHP opposed amendments to the Foundations Law last year on these grounds. For more on the history of the seminary, click here. A legislation restricting the powers of military courts, a long-standing European Union demand, was passed in Parliament in a last-minute late night meeting Friday. The legislation passed at 1:30 a.m. Saturday with the participation of a small number of opposition deputies. The opposition parties remaining silent during the session through the early hours of Saturday have led to interpretations that the legislation went unnoticed by the opposition parties. Parliament Speaker Köksal Toptan said he didn’t know about the legislation while CHP leader Deniz Baykal Sunday described the move as a kind of "midnight coup." In Kocaeli on Sunday, Prime Minister Erdoğan defended the legislation, averring that there was nothing tricky about the vote and that it was made in efforts to meet EU standards pertinent to civil-military relations. Erdoğan also accused Baykal and the CHP of hypocrisy, pointing to Baykal's support -- expressed last week -- of a repeal of Article 15 of the Turkish Consitition, which grants immunity to plotters of the 1980 coup. That change in the law would pave the way for General Evren and others to be tried in civilian courts for their actions. UPDATE 6/30 -- The CHP has announced that it will petition the Constitutional Court to annul Friday's amendment as unconstitutional. The CHP is arguing the amendment contradicts Article 145 of the Constitution, which declares that the military judiciary is responsible for cases within the military. The MHP is backing CHP on the issue. After the investigation’s end, Prosecutor Selim Berna Altay charged Şener with "making targets of the personnel in service of fighting terrorism, and obtaining and declaring secret information that is forbidden to be declared," asking for a prison term of 20 years. Since they do not fall under his authority, Altay sent the dossier on "violation of the secrecy of communication" and "attempting to influence fair trial" to the Istanbul Second Court. In the meantime, it was also claimed the book contained the offense of "insulting governmental institutions," and that too was added to the second investigation. Prosecutor İsmail Onaran handled this investigation and filed a second case against Şener asking for his imprisonment for three to eight years. Ogün Samast, the man charged with pulling the trigger in the Dink murder, faces a 20 year sentence by comparison. Some of the intelligence officers who have been made plaintiffs in the case against Şener are facing charges in relation to their negligence in the Dink murder in Trabzon. The Council of Europe and the Organization for Security and Cooperation in Europe (OSCE) has condemned the trial as a violation of press freedom guaranteed in OSCE countries. In a letter to Foreign Minister Ahmet Davutoğlu, Miklos Haraszti, the OSCE Representative on Freedom of the Media, asked Turkish authorities to drop the charges. Şener is prosecuted in defiance of freedoms that both OSCE commitments and Council of Europe standards grant to critical publications . . . . What he did was critically assess the events leading up to Hrant Dink's murder, and the deficiencies afterwards in the handling of the case and in the prosecution of the perpetrators. Şener faces charges of violating state secrecy laws -- which he denies, claiming information he attained can be accessed via the Internet -- and for attempting to influence the judiciary, a charge under the Turkish Penal Code that has been levelled against numerous dissidents of state action. Milliyet editor Sedat Ergin has stood solidly beside Şener throughout the proceedings. Although Şener may not be convicted, the fact that a prosecutor decided to press ahead with the case is very troubling, the message of the prosecution appearing to be that even publishing the truth can be a punishable offense. The case also serves as another indication that, despite training programs for prosecutors and judges and efforts at reform, Turkey's judiciary main concern remains protecting the state and its institutions, rather than safeguarding the rights of individuals. Nahide Opuz and her mother were subject to the extreme violence of Nahide's husband and stepfather, her husband's mother, between 1995, when Nahide was married, and 2002, when Nahide's husband shot and killed her mother while they were attempting to drive away. Nahide and her mother had complained to police since 1995, and continued to complain after Nahide's husband stabbed her in 2001 to be released with a fine. The two left after Nahide's mother reportedly decided the two neeed to leave to save their lives. After killing Nahide's husband killed her mother, local authorities released him despite his receiving a life sentence. His release resulted from his claim that he had murdered Nahide's mother to protect the family's honor. The case is a landmark ruling for Europe. For the first time, it classifies such cases as gender discrimination, giving the Strasbourg court jurisdiction in cases of domestic violence. Andrea Coombers, legal practice director at the International Centre for the Legal Protection of Human Rights in London, said describing gender-based violence as discrimination "is what the rest of the world has thought for at least a decade. It is a significant step in the right direction by the European Union." Mesut Bestas, the lawyer for Ms. Opuz, added: "European legislation on freedom of expression, freedom of assembly and right to life is clear, but when it comes to the issue of women's rights, the legal framework is murky. ... This trial begins to shed light on that murkiness." Bianet reports that though Opuz is pleased with the decision, she still lives in fear of her husband is not receiving protection from the police. UPDATE 6/23 -- Today's Zaman reports that Opuz is now receiving protection from the state, but is also seeking the protection of her children. See also Rahila Gupta's recent column in The Guardian. Gupta addresses the case in regard to domestic violence cases in the UK. See also the comments of Hülya Gülbahar, president of the Association for the Support and Education of Women Candidates (KA-DER), which ran in Bianet. President Ahmadinejad's proclamation that Iran is "ready for dialogue" with the United States, though contingent upon a "fundamental" change in U.S. policy, marks a softening shift in rhetoric coming from Tehran. Ahmadinejad's statement followed a similar declaration made by President Obama, who expressed his hope for rapprochement with Iran should it "send some signals that it wants to act differently." Though which leader will take the first step in this "sending of signals" is still very much up in the air, there is a possibility of Turkish mediation once again entering into the picture. In November, Prime Minister Erdoğan told the New York Times' Sabrina Tavernise that Turkey wants to facilitate talks between the two countries. The U.S.-Iran mediation scheme falls amidst a host of other attempts by Turkey to demonstrate its soft power. While Turkey fears a nuclear Iran on its borders, trade between both countries has grown in recent years and diplomatic relations tightened. And, though it is unlikely that Turkey will play the role of the interlocutor it desires (see Schleifer, EurasiaNet, Nov. 21), especially given the increased angst of Washington policymakers in the wake of Davos, it will be interesting in the weeks and months ahead to see just how Turkey responds to new diplomatic opportunities born from the changing relationship between Washington and Tehran. 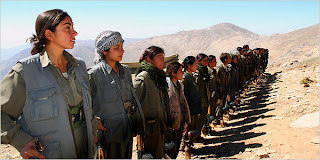 The US Treasury has branded the Party for a Free Life in Kurdistan (PJAK), whose members fight against government forces in Iran’s Kurdish-populated areas, as a terrorist organization. The group is a front for the outlawed Kurdistan Workers Party (PKK), which has been fighting the Turkish government for 25 years, Stuart Levey, the US Treasury undersecretary for terrorism and financial intelligence, said on Wednesday. “With today’s action, we are exposing PJAK’s terrorist ties to the PKK and supporting Turkey’s efforts to protect its citizens from attack,” Levey said. The desgination means the freeze of all PJAK assets in the United States, and prohibits U.S. citizens from having any relations with the organization. PJAK leader Rahman Haj-Ahmadi visited Washington in the same August in which Karayilan attributed the deaths of 108 Iranian soldiers to the group, and though he did not meet officially with U.S. officials, he told the Washington Times that he had made indirect contacts. As evinced by a recent Human Rights Watch report on Kurdish rights in Iran, Turkey and Iran have similarly repressive policies toward their respective Kurdish minorities. After 12 years of struggling for a parliamentary commission on gender equality, on Thursday women in Turkey finally gained a commission mandated to represent them at the highest levels of government. This representation also comes with unprecedented power to serve the interests of women: a substantial budget, the authority to bring about real change and the ears of Parliament and the Prime Ministry. In the last couple of years, Turkish women have united to transform a dysfunctional Penal Code into one of the world’s most progressive on protection of women and their rights. Taking a united stand on the proposed Draft Constitution last year, 86 women’s groups signed a declaration that argued effectively that language identifying women as a group needing "protection" was unacceptable. These days, Turkey is using new gender-sensitivity training in the curricula of the army and state organizations. Female representation in Parliament reached nine percent after the last general election, in 2007. Hastening efforts to form a gender equity commission, the 49 female parliament members from four parties began bringing proposals together in a united front. Their joint proposal owing much to decades of equal rights campaigning by Turkish women and NGOs finally landed in Parliament for approval on Thursday. An NGO representative on the new committee, Dr. Selma Acuner, who co-founded the Association for the Education and Support of Women Candidates (KADER) told Bianet that the committee means an institutionalized spread of gender equality over all decision-making points. "It represents a turning point for the women’s struggle for equality." The committee will have 25 members, with preference given to MPs with expertise in the area of women’s rights. CHP Adana Deputy, Nevingaye Erbatur, along with several other women in Parliament back enacting a quota system to ensure more political participation by women. On the other hand, more than half (29) of the female deputies are from the ruling AK Party, which has soundly rejected the possibility of quotas. This should make for a lively group. The committee’s impact could carry the indelible mark of politicking or reflect the type of cross-party compromise rarely seen in the assembly hall. Promises to ensure women’s representation do not translate into changes in women’s lives because too often the implementation of laws and measures protecting women’s rights are simply not in place. But this powerful committee can move beyond political promises in its ability to make laws easier to enforce or pass a gender equality law more quickly. Ireland’s broad equality legislation, for example, has been a model for other countries on issues such as allowing women to challenge hiring practices that appear to discriminate against them, a provision that is absent from Turkey’s labor laws. the equality commission would be responsible for checking and reviewing all laws that are concerned with gender. The commission will be able to receive complaints regarding the violation of women’s rights. It will work in close cooperation with nongovernmental organizations and it will have a mandate to monitor the circulars of the Prime Ministry which address violence against women. The commission will inform the public and Parliament about gender issues and prepare reports on the subject. For full story in TDZ, click here. Eyes will now be fixed on just what the commission is able to do in terms of reviewing legislation and complaints. Civil society groups like KADER are expected to work closely with the Commission, and are already pressuring for similar commissions to be created at the local level where services are still largely unresponsive to women's needs. Though women comprise approximately 10 percent of all members in Parliament, women active in municipal politics are a much rarer occurence, making up less than two percent of all local representatives. Since this is the level where implementation of important social and economic policies takes place, not having women in local office has contributed to policies meant to protect and improve the lives of women and children not being properly implemented. For example, Turkey enacted legislation requiring one women's shelter to be opened for every 50,000 citizens in a municipality, a policy that is still far from being realized. Prime Minister Erdoğan has recently promised to increase women's participation in local politics, aiming to have 1/3 of all city council positions be occupied by women. However, AKP, including its women's branch, remains opposed to gender quotas. Though skeptical of the progress women have made since 2004, Pınar İlkkaracan, founder and director of Women for Women's Human Rights, does see reform being made at a local level, stressing the importance of a local gender equality commission recently founded in the eastern city of Van. For more on the status of women, see "Women in Politics & the Türban Bugaboo," Dec. 11 post. Cynics portrayed the Turkish-brokered discussions as something of a ploy that benefited all sides even if they led nowhere. Turkey got to burnish its credentials as an emerging Middle East mediator and show the European Union how much of a strategic asset it could be. The dead man walking Israeli government of Ehud Olmert could turn the focus away from its disastrous war in Lebanon in 2006. Bashar al-Assad, meanwhile, could demonstrate that he is not completely under the spell of Iran and that he knows how to make peace overtures. Still, although the indirect talks were on hold at the time of Israel’s recent attack on Gaza, Erdogan has said in interviews that one of the reasons he was so angry with Israel’s actions was that he believed the Syria-Israel dialogue was heading for a breakthrough and that the Gaza attack scuttled that chance. “The fundamental issues were not bridgeable by Turkey. For that, you need the United States,” says Henri Barkey, a Turkey expert at Lehigh University in Pennsylvania. “From the Turkish side, the mechanism has not only collapsed but we have entered a situation in which I have a lot of doubt that an incoming Israeli government will look at Turkey as a reliable mediator,” he says. “We took a big hit on the Israeli and Turkish side of the triangle, but we now have an American aspect to this that we didn’t have before. Everyone is waiting for a signal from Obama,” adds Liel. With everyone waiting for that signal from the United States, the issue now is what role does Turkey play if Washington starts talking to Damascus and tries to push the Syrians and Israeli to start talking again? Joshua Landis, co director of the Center for Middle East Studies at Oklahoma University and author of the "Syria Comment" blog, warns that cutting Turkey out of the process would be a mistake. Ankara's improved relations with Damascus have helped attenuate the link between Syria and Iran, and if Syria and the US were to start talking, Turkey could act as a "handmaiden," Landis says. “Turkey is going to help rehabilitate Syria. That is Erdogan's entire strategy: 'It's not that we are siding with Syria and Iran against Israel. It's that we are going to help Obama,” he says. Talks with Israel, although halted due to the war in Gaza and the elections in Israel, might well resume with U.S. participation. Relations with Turkey have become a central element of Syrian foreign policy, offsetting Iran’s exclusive influence and providing Ankara with real leverage. Signs of unease already can be detected in Syrian-Iranian relations; with patience and deft management, they might be substantially transformed. The report also highlights the constructive role Turkey-mediated talks had in terms of prompting the United States to re-engage Syria. lose rather than to put it in a no-win situation”. The report documents American resistance to peace talks, in addition to the American turnabout on Syrian engagement.